As a Mets fan living with a bunch of Red Sox fans, watching baseball this September has been nothing short of soul-crushing. But for those of you who still believe in the magic of America’s pastime, tomorrow’s Speaker’s Bureau event will probably be of interest. Lisa Doris Alexander, professor of Africana Studies at Wayne State University, will deliver a lecture titled “The State of Race and Ethnicity in Major League Baseball: A View from the Cheap Seats.” Alexander has written extensively on the subject of race, class, gender, ethnicity, and sexuality in sports, focusing on how the sportswriting establishment presents these issues. Not covered: Bryce Harper being an incorrigible dickhead. The American Studies class AM376-Disorderly Women brings us the (Dis)Orderly Voices Festival this weekend. 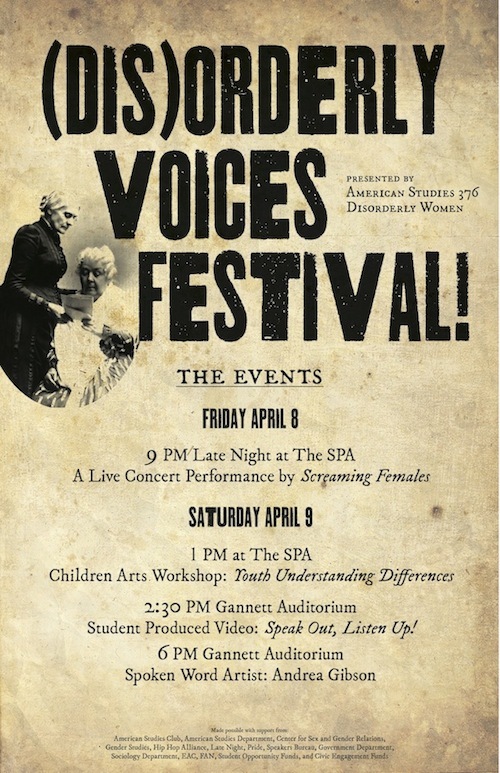 On Friday night at 9pm The Screaming Females will be playing The Spa w/ Skidmore’s own Twins (fbook) and on Saturday there is a Children’s Arts Workshop at 1pm in the Spa, a screenings of the student documentary, Speak Out, Listen Up! (focusing on identity in the Skidmore community) at 2:30pm in Gannett and a performance by spoken word poet Andrea Gibson at 6pm (fbook). But I guess you could have figured all that out from the poster. Carlo Rotella will be on campus this Tuesday giving a lecture entitled “The Rust Belt Canon: Cultural Legacies of the Industrial City” at 6pm in Davis. 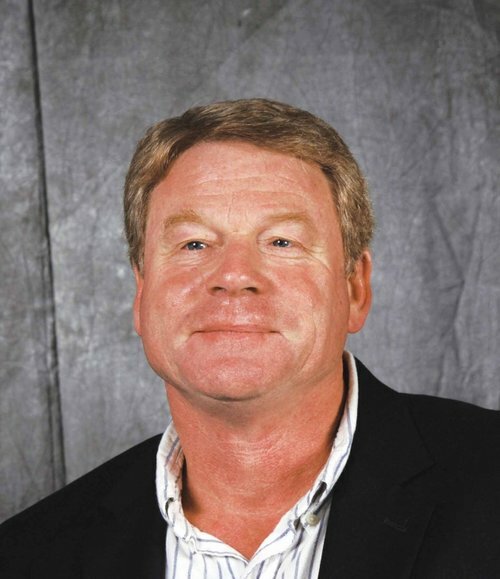 Rotella, an English professor and Director of the American Studies Dept. at Boston College, is academically decorated and has written extensively on the American industrial city. Rotella’s lecture will draw upon music, literature, and film to show how the industrial city survives in American culture. Long after the era when manufacturing was of primary importance in determining theform and function of great American cities, echoes and byproducts of that era still circulate in both explicit and subsurface ways in our culture, carrying powerful charges of meaning rooted in industrial-era conceptions of work, play, gender, race, and other matters of import.